How To – When the sun goes down | go do. Today I would like to show you how I edited my photo of day 282. 1) and 2) are the 2 main photos I used for my editing. I took them on the same place with the same camera settings. 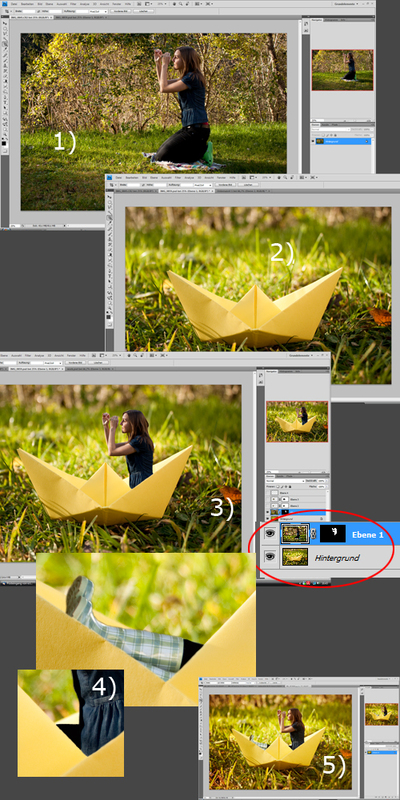 3) I opened both of them in one Photoshop file and used a layer mask to remove the background of one image. 4) After that I used some rain boots from an older shot to get myself some feet (also with a layer mask). 5) At the end I did some changing of colors and my normal editing. IM SO GLAD I FIND THIS !!!! THX FOR SHARING !!! I TOTALLY LOVE YOUR PHOTOS BTW!